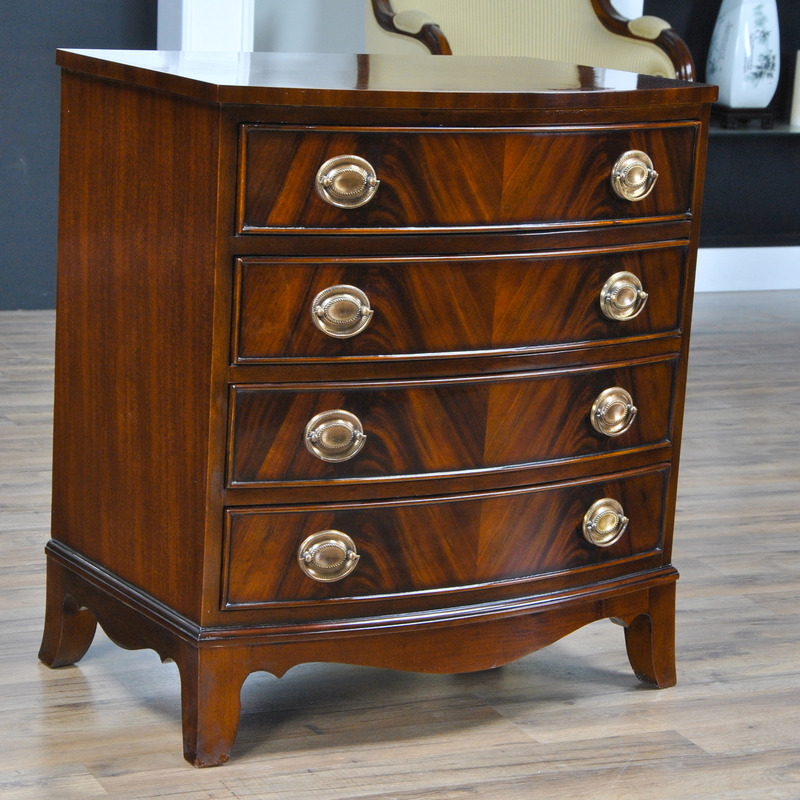 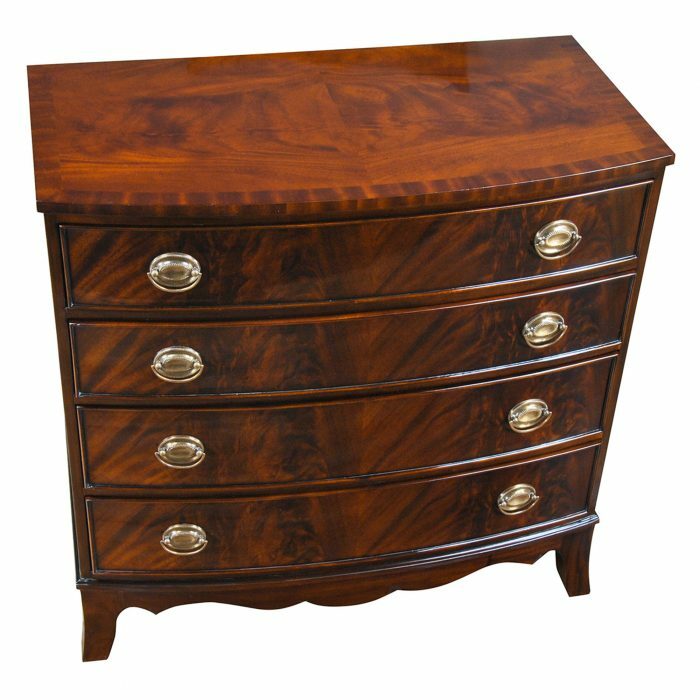 From the tastefully tapered legs to the finely shaped drawer fronts this Small Mahogany Chest with Drawers expresses great taste in design. 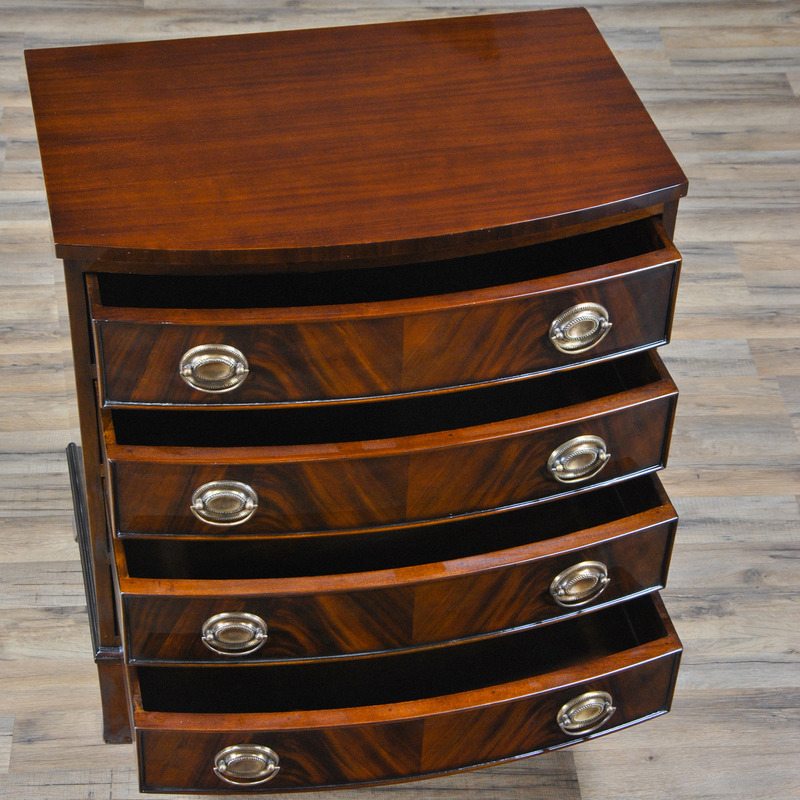 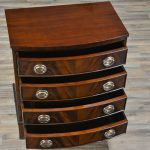 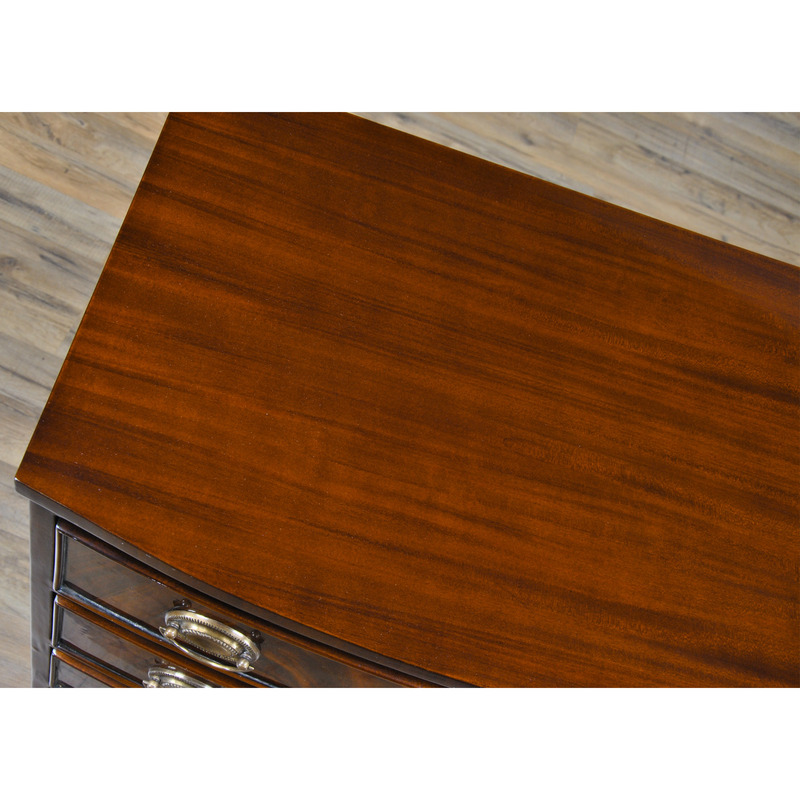 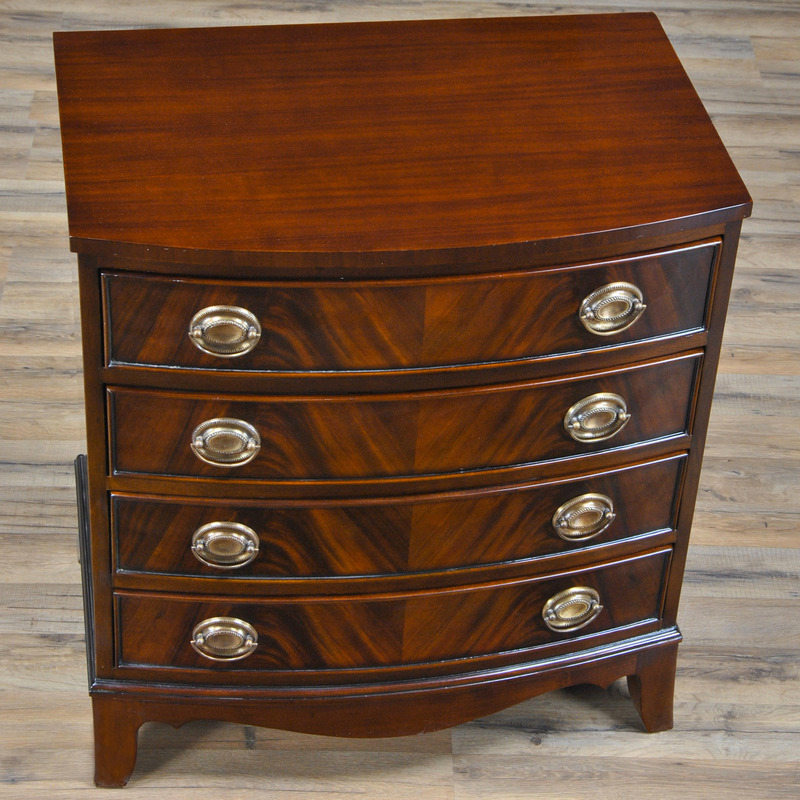 Graduated drawers, great mahogany veneers and mahogany solids work together to make a wonderful addition to your bedside. 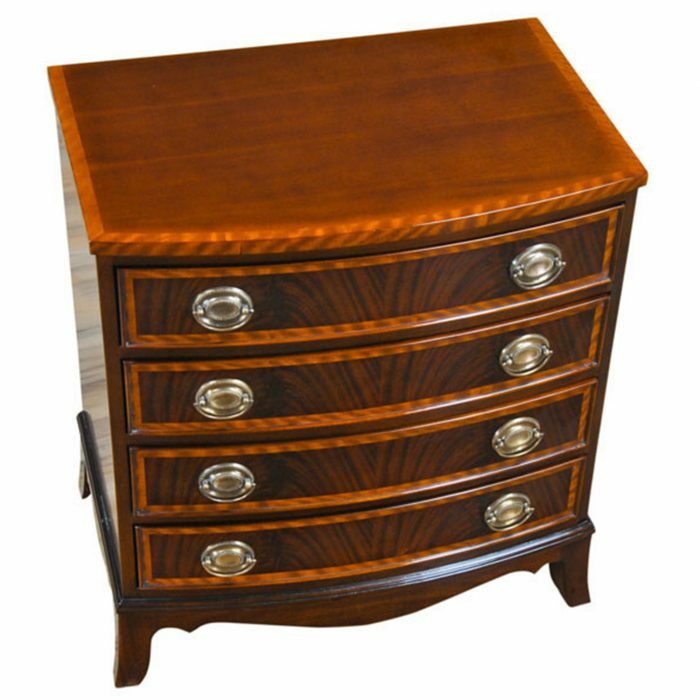 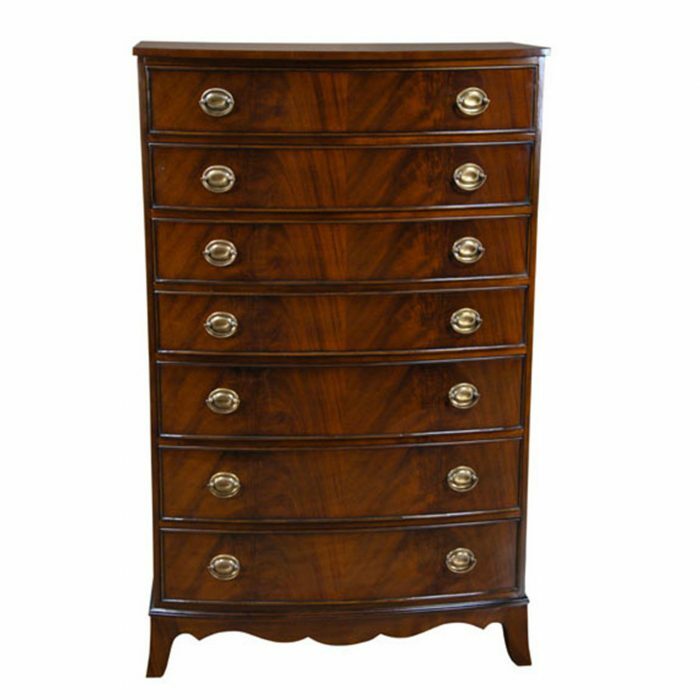 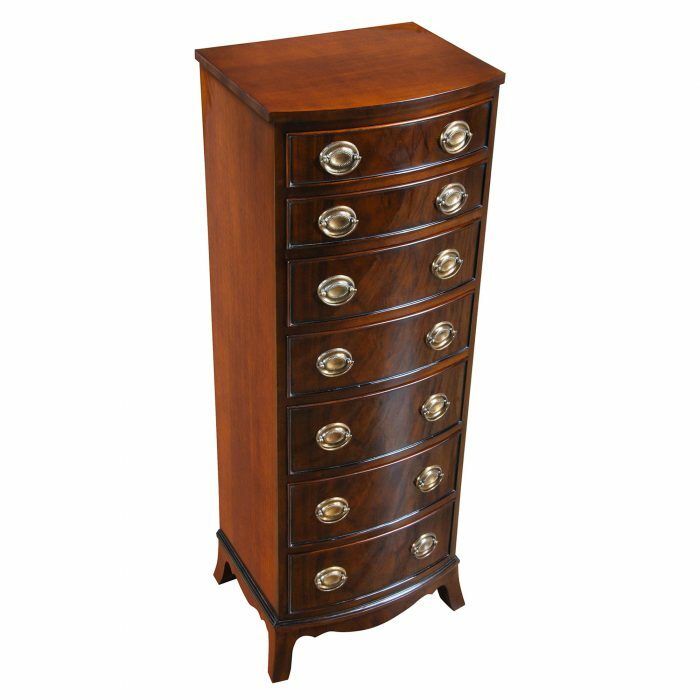 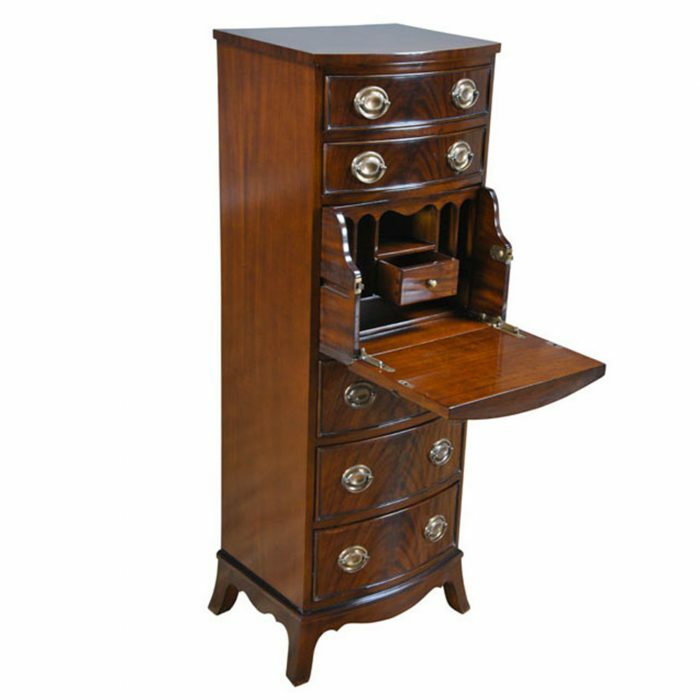 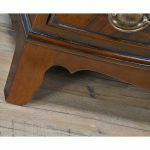 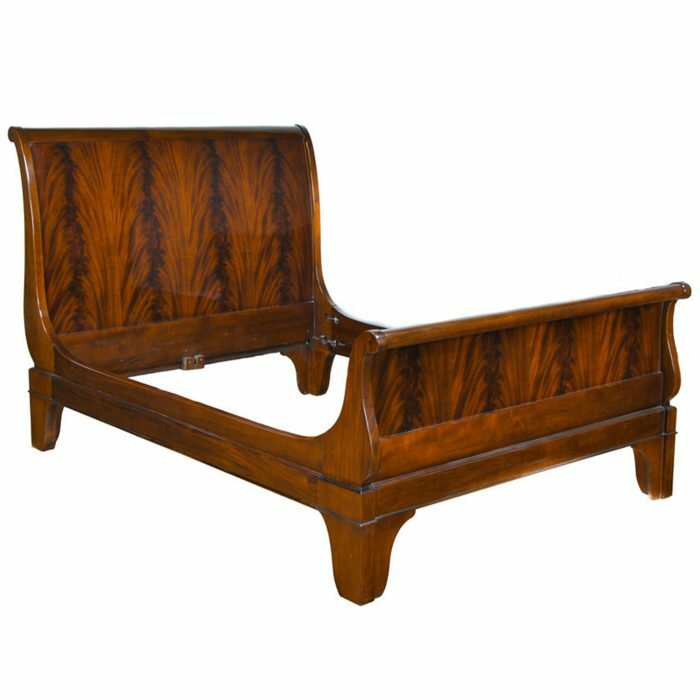 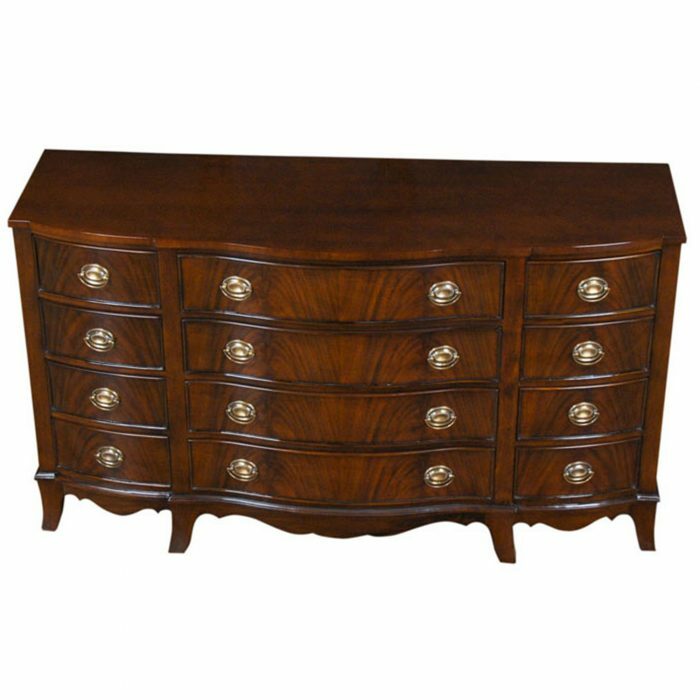 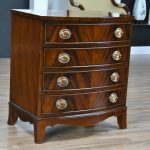 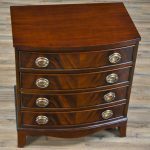 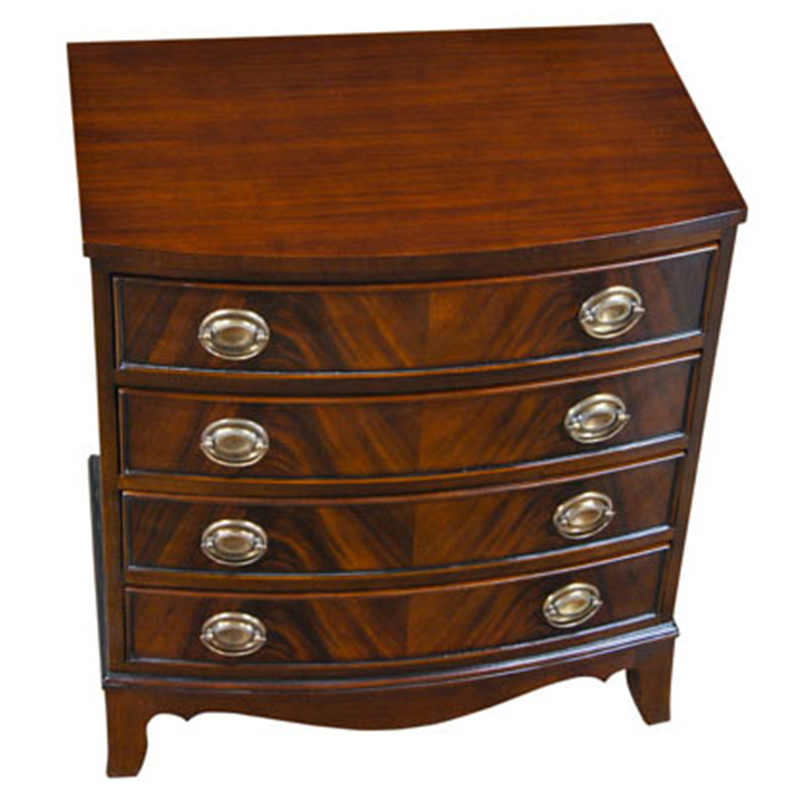 See our other items that work well with this Mahogany Chest below in the “Related Products” section of this page. 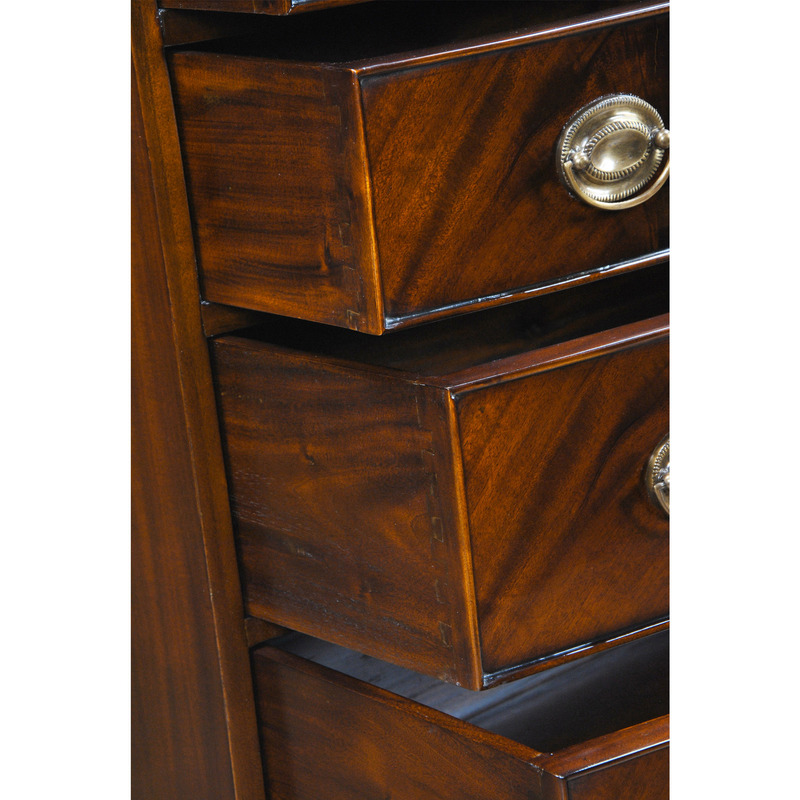 You can use these small mahogany chests either as night stands or end tables.